Gold, silver and bronze; such was the outcome for Team GB in the Men’s Singles Para Class 6-10 event on the morning of Saturday 14th April at the Gold Coast 2018 Commonwealth Games. Hard fought matches that enthralled the appreciative Oxenford Studios crowd were the order of the day as matters concluded with Ross Wilson standing on the top step of the podium, his England team colleague, Kim Daybell, on the next step and Josh Stacey of Wales on step three. 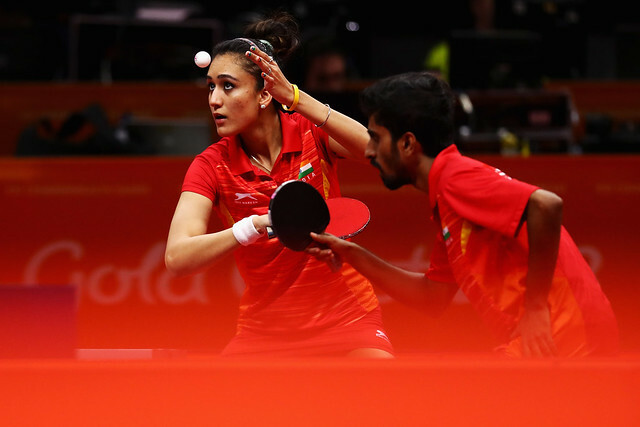 The Commonwealth Games is one of the very few events, the only one of stature, where Para table tennis players compete for the countries that form Great Britain; the norm is for England, Scotland, Wales and Northern Ireland to unite. Back home in England, Gorazd Vecko, the Performance Director for the Great Britain Team could sit back in his arm chair filled with pride. Josh Stacey, from Cardiff in South Wales rose the challenge to secure the bronze medal. The no.5 seed, he beat South Africa’s Theo Cogill, the no.4 seed, in five games (8-11, 11-4, 11-6, 11-13, 11-8) having in the fourth held one match point. 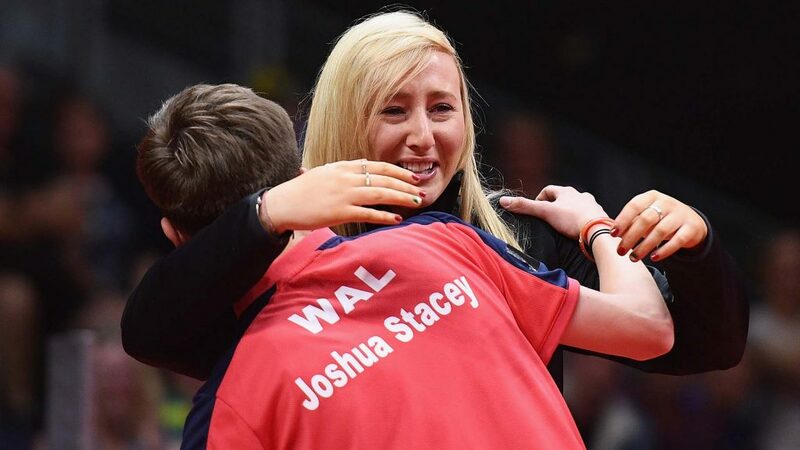 Throughout the match, sitting courtside was Charlotte Carey, the leading female player from Wales; when Josh Stacey returned courtside she hugged her charge and burst into tears. The emotion of the moment, winning a Commonwealth Games medal was special but winning the medal and overcoming a disability was even more special. Success for Josh Stacey against a player listed one place higher, it was the same for Ross Wilson; he started proceedings as the no.2 seed; Kim Daybell was the top seed; the margin of victory four games (7-11, 12-10, 11-3, 11-7). Proud moments as the national anthem played; usually for England it is the same as Great Britain; “God Save the Queen” but since the New Delhi 2010 Commonwealth Games it had been “Jerusalem”, the poem written by William Blake, put to music by Sir Hubert Parry in 1916 rang loud and clear.